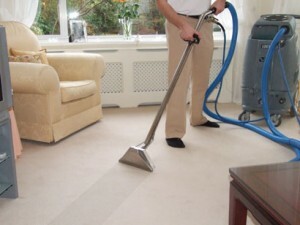 Carpet cleaning in Chalk Farm, London for your home or office. Professional carpet cleaners based in Chalk Farm. Carpets are a great decoration, but as a homeowner you should know that they can lose their great appearance really quickly if they are not maintained properly. Unfortunately, carpet maintenance requires a lot of time, dedication, knowledge and money. Of course, this only applies in case you want to clean the carpets by yourself. We are here to offer you an affordable and convenient solution to your carpet cleaning needs in Chalk Farm, NW3. Our company can provide you with one of the best carpet cleaning services in London, so you can count on us if you want your carpets to be cleaned by real professionals. Booking our carpet cleaning service in Chalk Farm will save you a lot of time and money. Not only this, but it will also get rid of all the grime and dirt that spoil the hygiene and condition of the carpets in your home. All carpet cleaning jobs are carried out by a team of specialized cleaning technicians who have the necessary training and experience to deal with any carpet cleaning challenge. Each one of our employees has been properly trained and taught to apply different carpet cleaning methods, so we guarantee that you won’t be disappointed with the results we achieve. 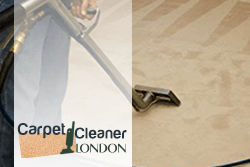 Our carpet cleaning service in Chalk Farm has been around for just a couple of years, but we are already one of the most popular cleaning agencies in the London area. The reason for this is the devotion, motivation and professionalism of our employees. They always do their best to meet the requirements of our customers, and you can be sure that they won’t let you down. We can clean all types of carpets and we are confident that there isn’t a carpet that is too dirty for our workers, so feel free to give us a call for any carpet cleaning job. We apply the most modern cleaning methods – steam cleaning and dry cleaning. Both of these methods are used in specific cases, but you don’t need to know about this. What you need to know is that both cleaning techniques are incredibly efficient and can get rid of the toughest stains. The low price of our carpet cleaning service will certainly be appreciated by clients with a tighter budget. If you are one of those clients, then you should know that you also have the opportunity to tailor our service according to your budget and requirements. If you need professional and effective carpet cleaning for your home, office, hotel, rented flat or other estate, get in touch with our company. The work of our staff is qualitative and guarantees removal of stubborn stains, spillages, odours, fur, hairs and bacteria from carpets. They use effective steam cleaning machines which work with hot cleaning solution under pressure and disinfect carpet fabrics without damaging them. Our methods for sanitising are successful and implemented with detergents and machines which are preliminary tested. The carpet cleaning provided by our company in Chalk Farm guarantees excellent results and is affordable.